Red & white flowers with accents of black created an elegant ambiance for this wedding at Samuels’ Grande Manor in Williamsville, NY. 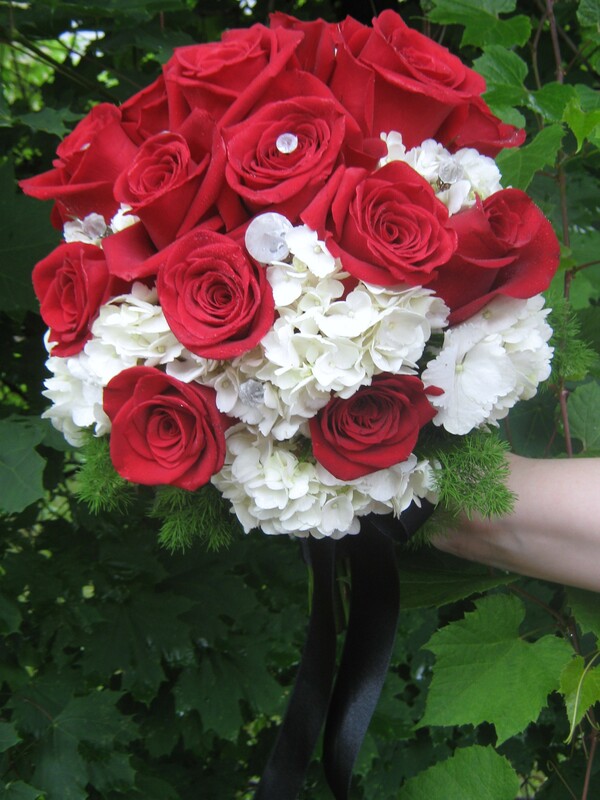 For this bride, Nancy, created a classic bouquet of white hydrangea and red roses with crystal accents. 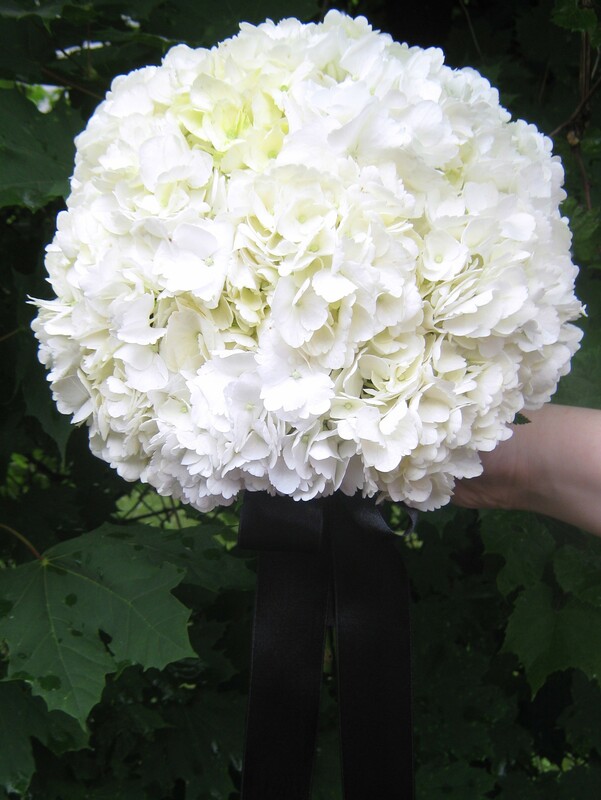 The bridesmaids carried simple round bouquets of white hydrangea accented by a black ribbon. 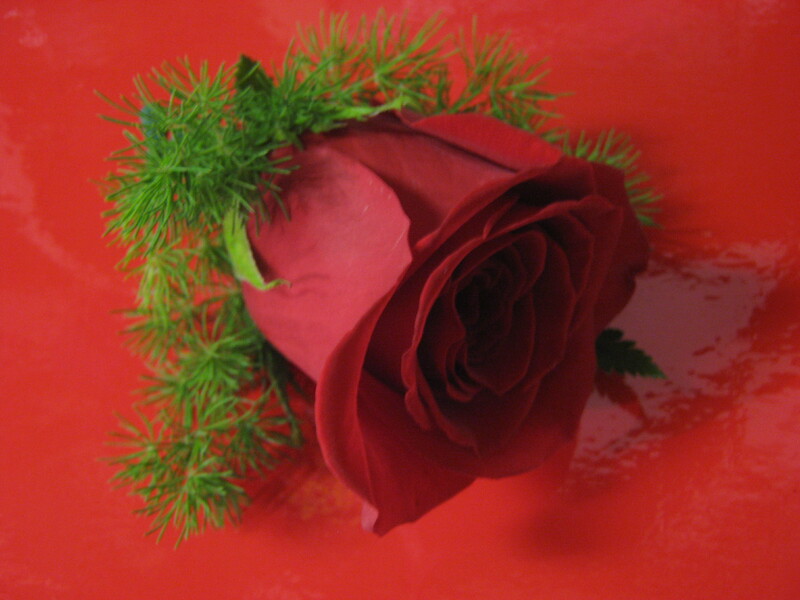 The groomsmen wore simple red rose boutonnières. The reception held in the SamuelRoom, featured elegant tall centerpieces of white hydrangea and red roses with greenery in tall pilsner vases with a black ribbon tie. The simple black bows followed through with the chair covers and damask paper underneath the centerpieces and used to wrap the favors. 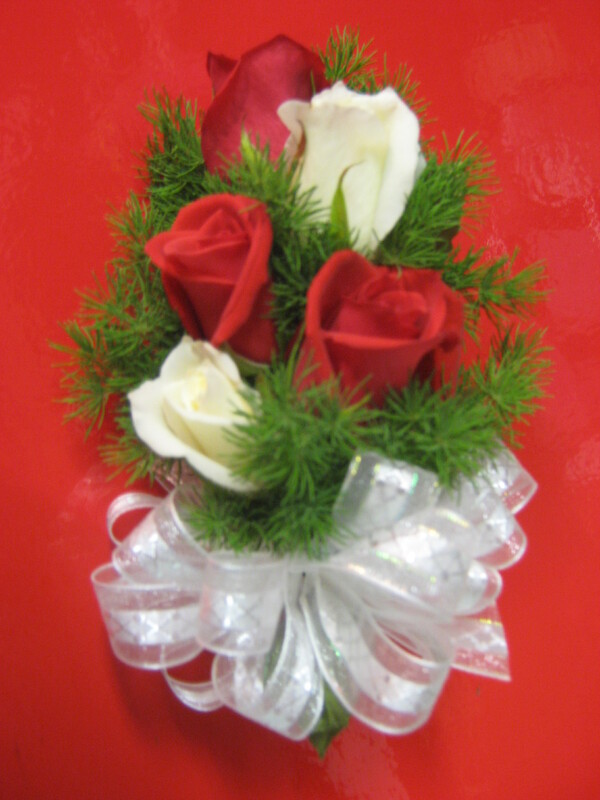 The mother’s corsages featured red and white sweetheart roses. 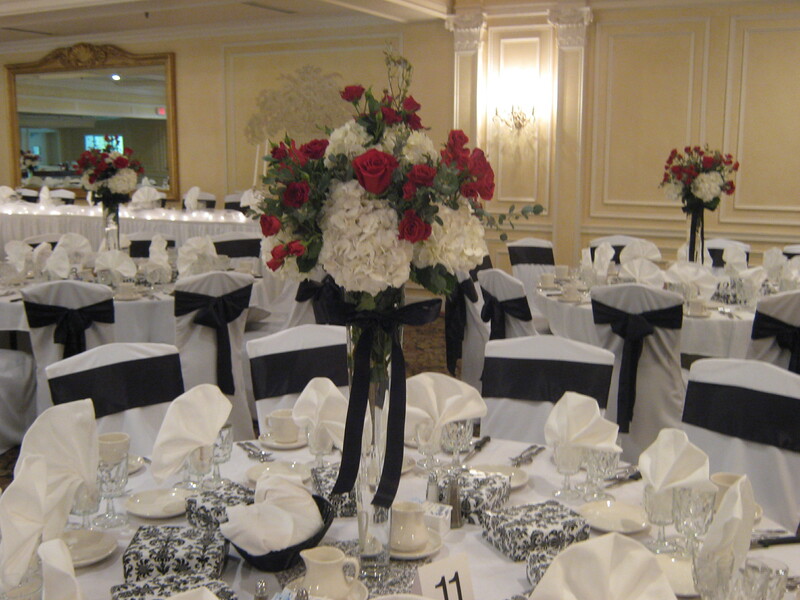 These tall centerpieces made by Lipinoga Florist can be customized for any wedding in the Buffalo area. The pilsner vases are available from Lipinoga Florist. Hydrangea and roses or similar flowers can be customized to match practically any color combination.